Sentient Jet works with a world-class group of independent jet operators who must complete our extensive certification process, ensuring the highest levels of safety and service are met. Our clients are our highest priority—this meticulously selected group of expert operators provide confidence to Cardholders while affording us access to a fleet of quality aircraft so we can deliver the utmost flexibility. We created the industry’s first private jet card, providing value and flexibility to Cardholders when purchasing private jet travel time in hourly increments – paying only for the hours they fly. Sentient Jet has continued to perfect the jet card model for nearly 20 years, making it the preferred alternative to jet ownership, fractional arrangements, and other jet card programs. Our mobile app also allows you to book your flights with just a few taps on your iOS or Android device. At Sentient Jet, we’re driven by a culture of safety and service – to protect our greatest asset: our clients. Because safety is of utmost importance, we certify every single aircraft, pilot, crew, and flight that flies in our program. Our operators are also tested annually and our safety standards exceed FAA Part 135 regulations in various categories. We are driven by our belief that we must earn our Jet Cardholders’ loyalty each and every time they fly. 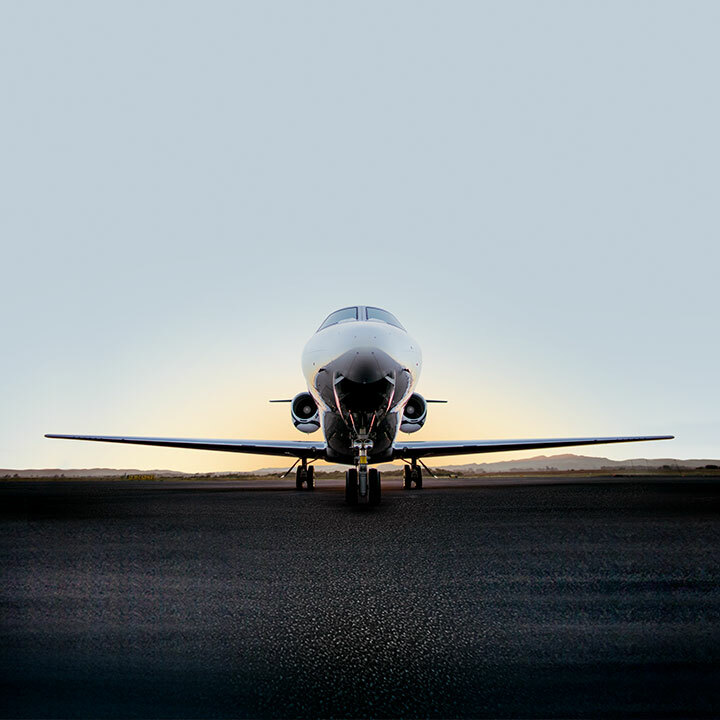 This inspires us to make each private jet travel experience an extraordinary one. Supported by an extensive 24/7 customer service operation, we are relentless in our commitment to delivering truly personalized service. What Should I Know About Private Jet Safety with Sentient Jet? Sentient is a leader in the industry with innovative safety policies and practices that inspire confidence and peace of mind. Working with only the top 20% of operators in the country and nearly 20 years of proprietary data, Sentient has invested millions of dollars in its service and safety infrastructure. From our Safety Advisory Board to our exclusive safety and flight certification technology, we are fully committed to the highest level of safety. In working with a select group of operators, Sentient has designed a unique supply solution, which ensures we can meet our guaranteed service commitment year-round. All operators and aircraft must meet the same strict guidelines for service, quality and safety practices. Safety is not just our promise; it is the core of everything we do. Having created the industry’s first Independent Safety Advisory Board, led by our dedicated in-house Chief Safety Officer, a crucial element of our safety program is a rigorous, proprietary certification process called Sentient Certified. Each operator, aircraft, and pilot that flies for our program, as well as each flight, is individually certified by Sentient, ensuring that all components of our stringent safety standards are met on each and every trip. Sentient arranges more flights than any other charter procurement business in the country, which allows us to develop and maintain preferred relationships with premier operators. Of note, fewer than 20% of the more than 575 charter jet operators in the United States have passed the certification process to fly for Sentient clients. A fundamental component of Sentient’s approach to safety is operator certification. Before any operators are permitted to fly for Sentient clients, they must first become certified by Sentient by passing a thorough and exhaustive review. We utilize a combination of independent data as well as internally conducted examinations, covering both operations and management, to determine which operators should become Sentient Certified. Once approved, Sentient requires operators participating in our programs to have at least $50 million of liability insurance on every flight, though the average is approximately $142 million. Sentient has a separate aviation policy for $100 million of liability insurance on each flight. As part of Sentient’s operator certification process, aircraft at that operation are also individually certified. Each certified operator may have certain aircraft or crew members that are approved to fly for our clients, and others that are not. To become Sentient Certified, aircraft are reviewed based on their history – including maintenance reliability – and also must pass a physical inspection that covers key safety elements in addition to the comfort and condition of the aircraft. As with aircraft, the operator’s crew members must be individually certified by Sentient. Pilots must uphold a high level of safety standard, exceeding FAR Part 135 regulations in a host of categories, including: Total time in a particular aircraft type; total flight hours as Pilot-in-Command; and, total flight hours as Pilot-in-Command of a specific aircraft type. While each Sentient Certified pilot must meet minimum standards, what is more impressive is the actual experience level of pilots certified to fly our clients. The most recent figure shows that the average total flying time for pilots who were captains on flights we arrange was over 9,400 hours. Sentient has built a robust, proprietary platform to ensure that all safety-related data is continually gathered and consolidated into our real-time database. Once a trip is booked, that flight is also Sentient Certified, with up-to-date information on the assigned operator, aircraft and crew verified against our database to ensure all safety standards are met. In addition to leveraging independent auditing resources, Sentient also gathers a large amount of proprietary information from sources including the DOT, FAA, NTSB, and Aviation Safety Reporting System database. If at any time the Sentient Certified Flight Report indicates that an operator, aircraft or pilot does not comply with all of our safety requirements, Sentient will make alternative arrangements to complete the trip with an operator that does meet these standards. Learn more about our Safety Policy! Which Jet Models or Aircraft Types Are Available with Sentient Jet? The Sentient Jet Card provides the flexibility of choosing the jet size and age class that fits your private jet travel needs. Adding an extra level of flexibility, Cardholders can change to different jet size categories at published hourly rates. PREFERRED: the newest aircraft available in the market, model year 2000 or newer. SELECT: High-quality aircraft manufactured in model year 1999 or before, offering a greater value without compromising on comfort or safety. The above represents a list of jet model options. Additional jets of comparable size may be provided. Does Sentient Jet Offer Different Jet Card Pricing Options? The Sentient Jet Card offers the flexibility of choosing the aircraft size and age class that best meet your private jet travel needs. With guaranteed availability (with 10 hours notice), a seamless booking experience, all-inclusive fixed rates, and jet card hours with no expiration – the Sentient Jet Card is the premier choice of private jet card programs. The Sentient 25-Hour Jet Card (SJ25) is the choice for flexibility in aircraft booking across four size categories. Starting at $131,800. Learn more about our SJ25 jet card pricing. The Sentient 25-Hour Plus Jet Card (SJ25+) is the choice for guaranteed access to wi-fi enabled super-midsize jets. Purchase Price $224,275. All-in Hourly Rate $8,971. Learn More about our SJ25+ jet card pricing. As the inventor of the jet card, Sentient offers the most sensible, intelligent choice in private aviation with hourly rates 10 – 30% lower than other national programs. 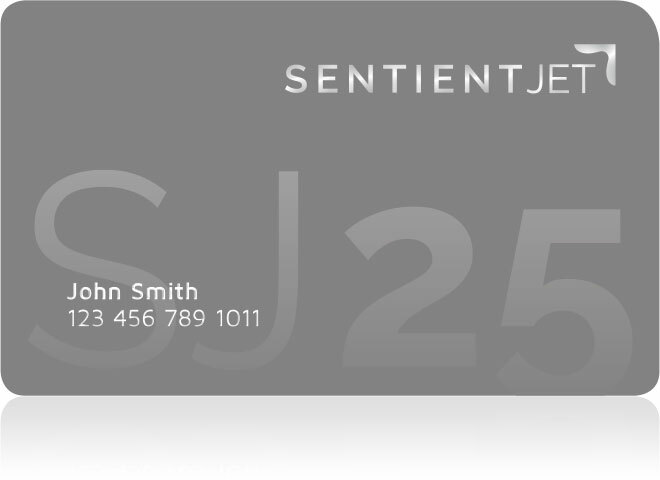 The Sentient Jet 25-Hour Card is a sophisticated, flexible alternative to owning a jet, fractional jet ownership and other jet card providers. Our Client Management Team is available 24/7 to assist you with your travel needs, ensuring you have the very best experience and receive the most value from your jet card. With guaranteed availability in as little as 10 hours notice, you also have the flexibility to choose between four jet size categories and two age classes. Unlike other providers, you’re not locked into a certain aircraft size or jet model. The Sentient 25-Hour Jet Card provides everything you need for a seamless private aviation experience, including 25 hours of flight time, all-inclusive pricing with aircraft hourly rates locked-in for 12 months from the date of purchase, the ability to upgrade and downgrade to other jet sizes and 15% efficiency discounts on qualifying round-trip travel. When you purchase a private jet card through Sentient Jet, you have access to a number of private jet services, including a comprehensive selection of exclusive cardholder offerings made possible through our close partnership with some of the world’s finest hotels and resorts, private clubs, luxury and lifestyle brands, and more. See Cardholder Benefits for more information. 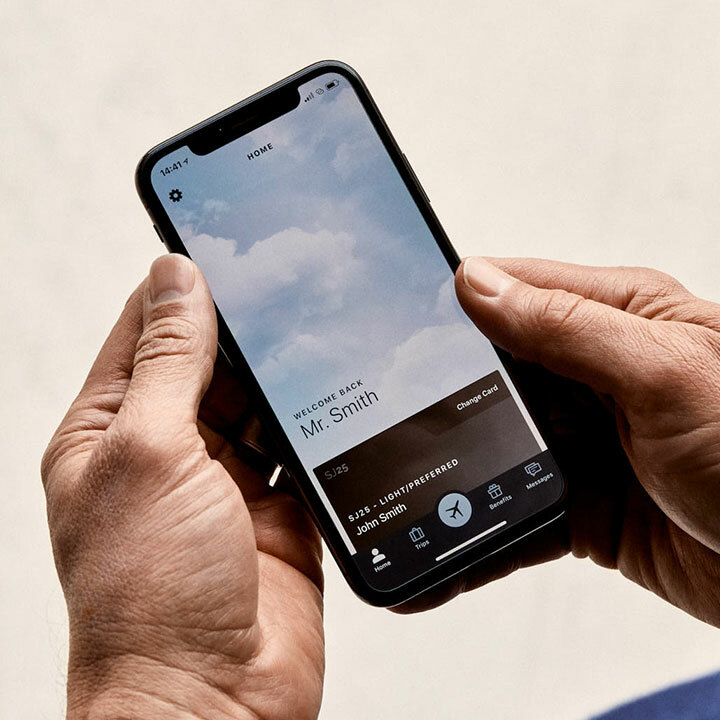 And as a Sentient Jet Cardholder, you’ll have access to our exclusive iOS and Android app that makes it easier for you to do things like book travel or chat with our command center 24/7. What Are The Benefits for Jet Cardholders? Indulge in some of the most elite hotels and resorts in the world and enjoy a unique variety of services and amenities available. Enjoy private wine tours at award-winning vineyards in Napa Valley or enjoy breathtaking mountain views in Colorado while experiencing the area’s finest entertainment, spas and restaurants. Take advantage of special opportunities to purchase luxury products, from premium linens to elegant jewelry and trendy apparel. Experience some of the world’s premium wine and access world-renowned wine management to enhance your wine collection.